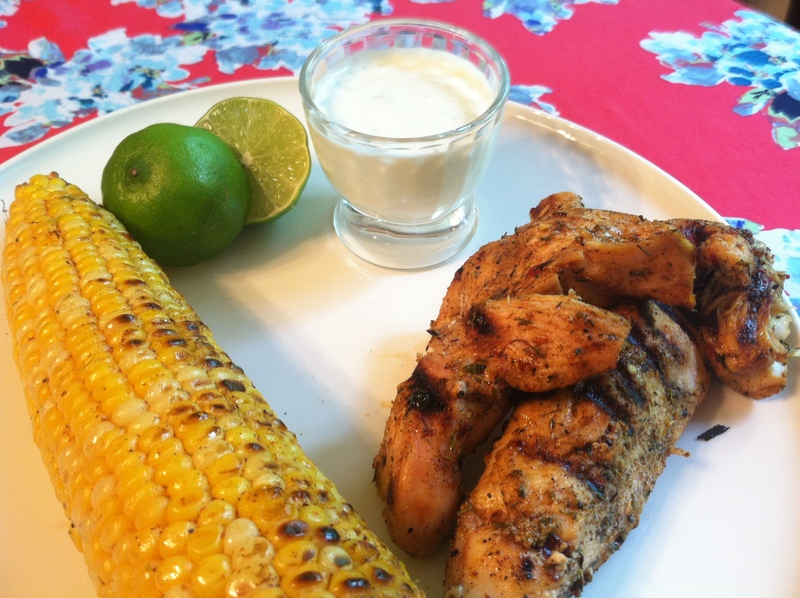 Now, here is the perfect summer meal: spicy, grilled chicken with a cool honey-lime dipping sauce. I love how the heat from the spices plays off the slightly sweet and refreshing sauce. Jamaican Jerk spice includes spices such as Scotch Bonnet Peppers, allspice, cinnamon, thyme and garlic. This unexpected flavor combination really works! Trust me, it’s SO good. For a great summer feast, try this with grilled corn, dripping in chili butter, and a nice fresh salad! In a small bowl, combine all ingredients, except the chicken. Put chicken strips in a gallon bag. Then add the marinade to the bag and turn the bag several times to evenly coat all the chicken. Refrigerate for 2 to 8 hours, turning the bag occasionally. Grill the chicken over direct high heat with the lid closed as much as possible until meat is firm and juices run clear, about six to eight minutes, turning once or twice. Serve warm with sauce. 2 teaspoons honey – a good, local, raw honey makes all the difference! In a small bowl, whisk all ingredients. Cover the bowl and place in the refrigerator. Let stand at room temperature for 1/2 hour before serving. Tags: Easy Dinner, Grilled, grilled chicken, Jamaican jerk, jerk chicken. Bookmark the permalink.